Last edited by Ubarguru; 15 January 2019 at 03:33 PM. Isn’t there a p1 club who recently kicked out anyone who didn’t have 1. Why you need to find the owner? 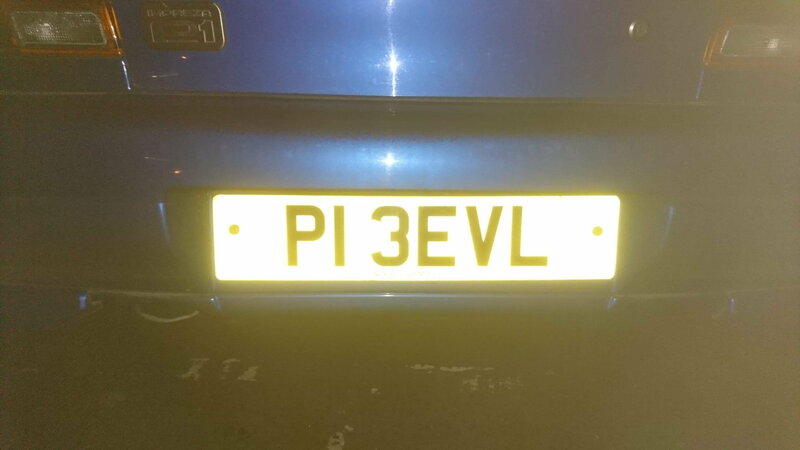 I need to find the owner of P13 EVL. 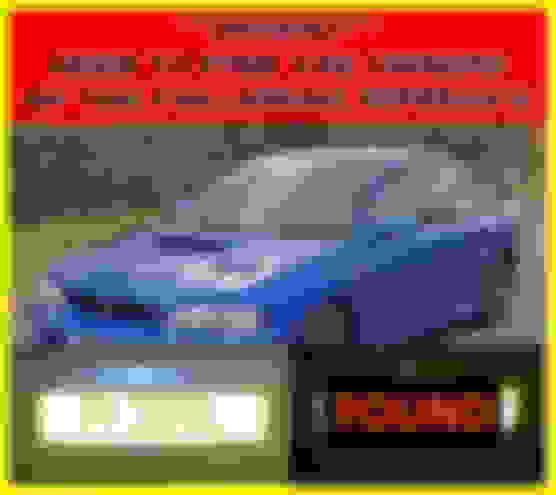 Subaru Impreza P1. 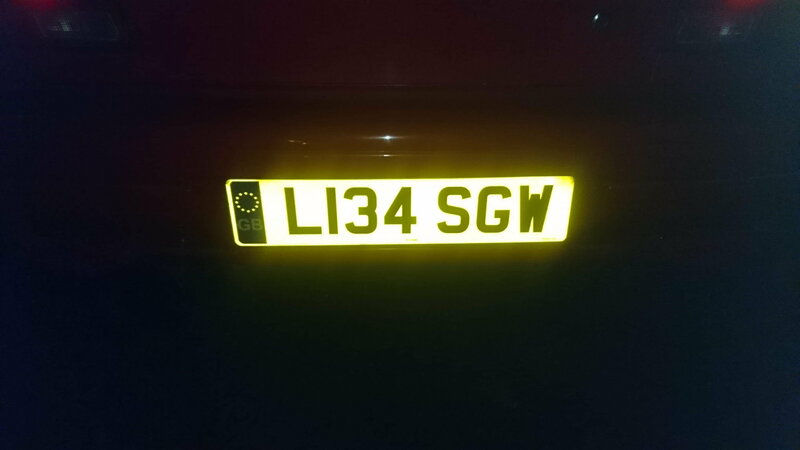 And the other reg in question The car is due to be crushed at the end of the month due to where it's parked and I need to alert the owner of the vehicle that it needs to be moved! I won't be posting the owners name for security reasons but if you have contact details for them or know where I can look please let me know or get them to message me ASAP. Surely they can't just crush it. Why would you just park a 10 grand car in s random place? That's crazy. Looks like it's been nicked left there. on whos authority is it going to be crushed?? 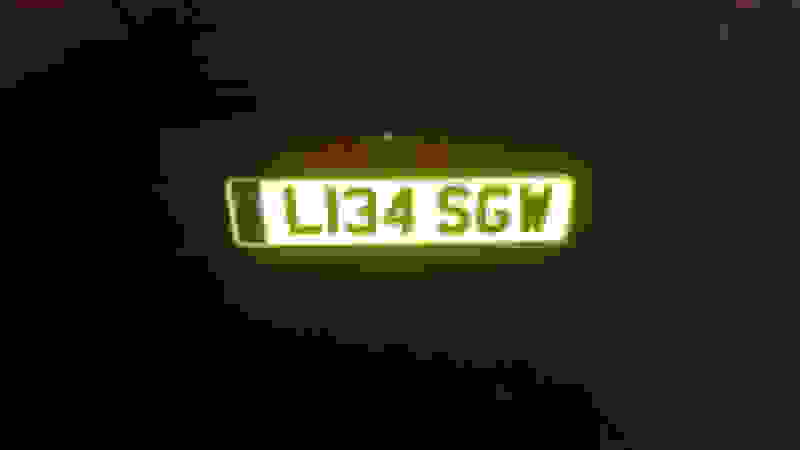 The L134 SGW plate is off a 1994 WRX not a P1 ? why does the OP want info on P1 EVL ? The picture of the actual p1 is wrong.... my mistake! I'm guessing they are parked in API's old carpark then? Why don't you put up another post asking for people who have left vehicles at API's premises? P1 owner now has his car back. Partial good news then. Fingers crossed they locate the other owner. I found this which gives abit more of info to what this thread is about. 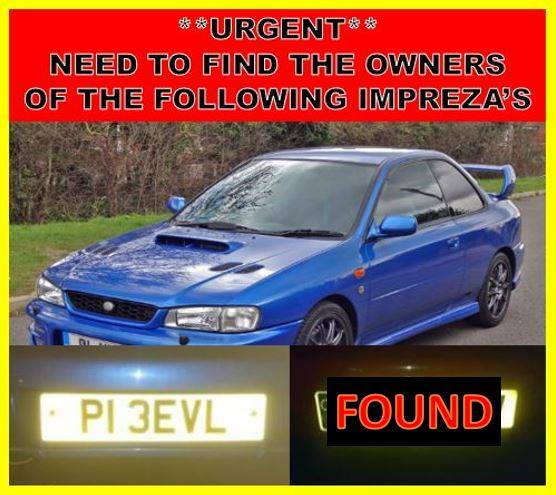 PLEASE SHARE/ SPREAD THE WORD – Lets get these Impreza’s back to their owners! Is it a scam? Some people are saying this is a scam, others are corroborating the story. I don’t know Michael or anyone else that has commented. Personally I can’t see how this would unfold as a scam,. But I may be wrong? Why doesn’t he contact the Police? Apparently, the police have been called, and because it is on private land (civil matter), not causing an obstruction or a danger to the public, they cannot / will not get involved. Why doesn’t he contact the DVLA? To gain the owners contact details you need to complete and submit a form for each car. They were hoping to find all of the owners before doing this. 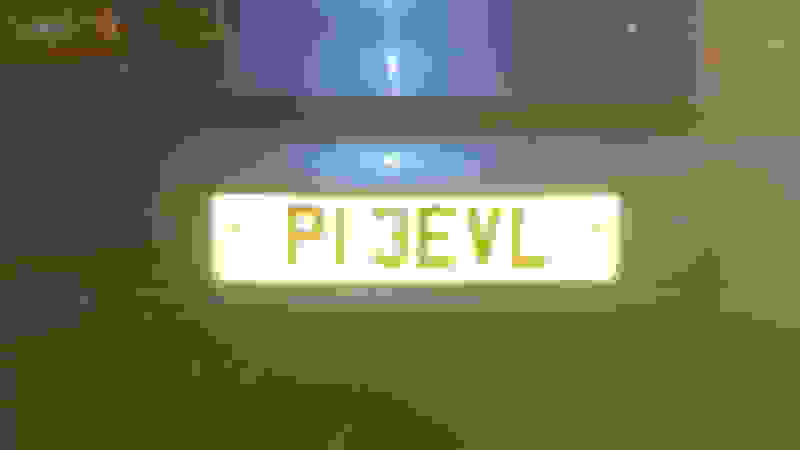 A form has now been sent to the DVLA for the P1, but it is unknown if they will get the details before the 28th. How can someone just forget they have a P1? It’s not been abandoned in a car park,. Covered with moss on a driveway, or ditched in a field,. It’s been left with a garage to complete work on it. My dad owns a classic ford that has been SORN / garaged for years. Last year it went into a garage for about 3 months. The garage contacted him every 3-4 weeks with an update. A neighbour has an alfa in a garage for full restoration. They have had it over 3 years and he has to chase them for updates every 6-8 weeks! If either of those garages went under, how would they know? And how long would they wait before chasing?.. I don’t know, but If it did happen, I would hope someone would do the right thing and reunite them with their pride and joys!